It is well known that spending time outdoors is beneficial for everyone's health, both physically and mentally. 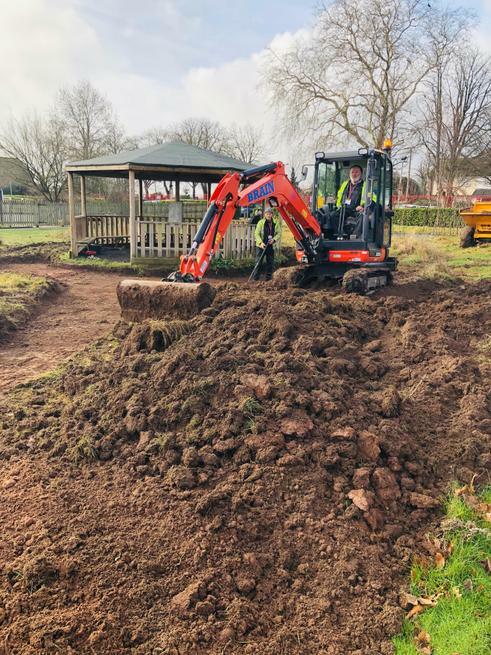 As a school, we are bidding to become a leading school in environmental awareness by creating an Environmental Hub dedicated to local families and the wider community. 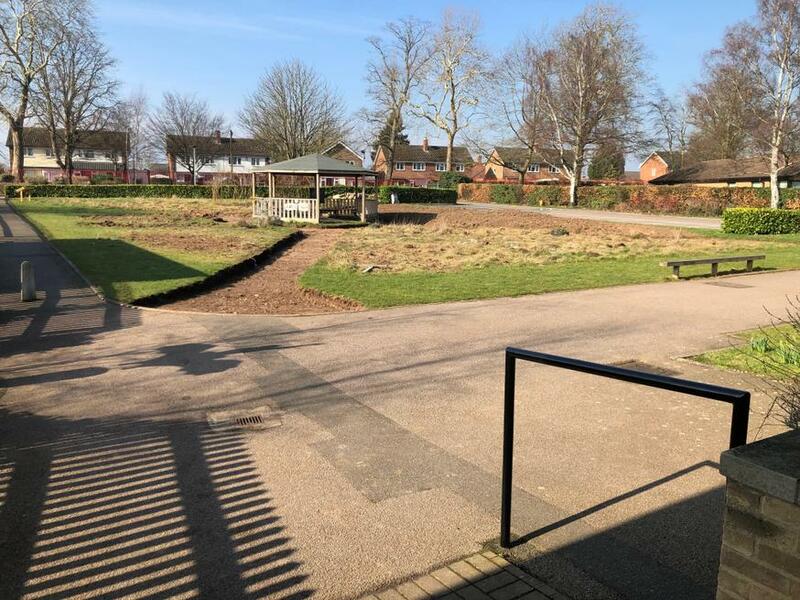 We aim to promote greater cohesion and hope to substantially improve the school site and allow children and adults to utilise the area in an environment they are proud of. Central to our vision is the landscaping of the meadow space, in memory of Corinne, known to many at Thomas Jolyffe, who passed away in 2013. 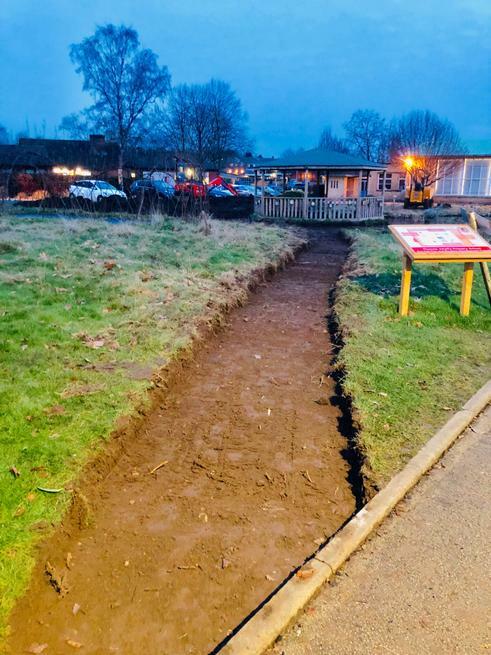 We would like to take the opportunity to thank parents Katie, Joel and Spesh, alongside Richard (Mrs Preedy's Dad) who have each willingly given up huge amounts their own time to help with this project. 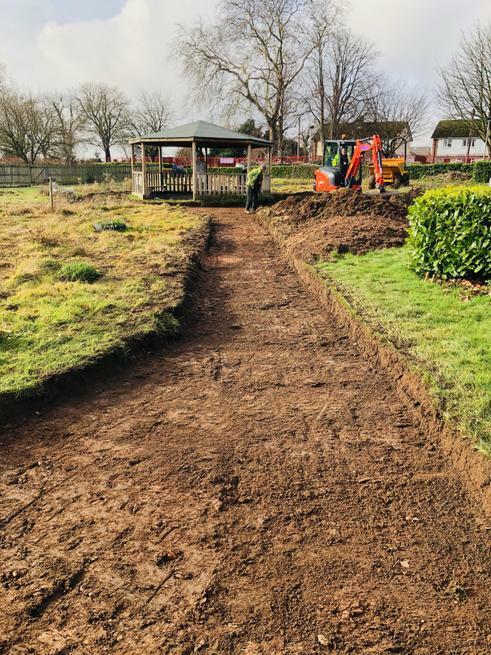 Special thanks also go to Edward Brain & Sons Ltd, who donated time, machinery and a lot of goodwill to come and dig the paths for us. We would certainly not be in the position we are in now without their help. 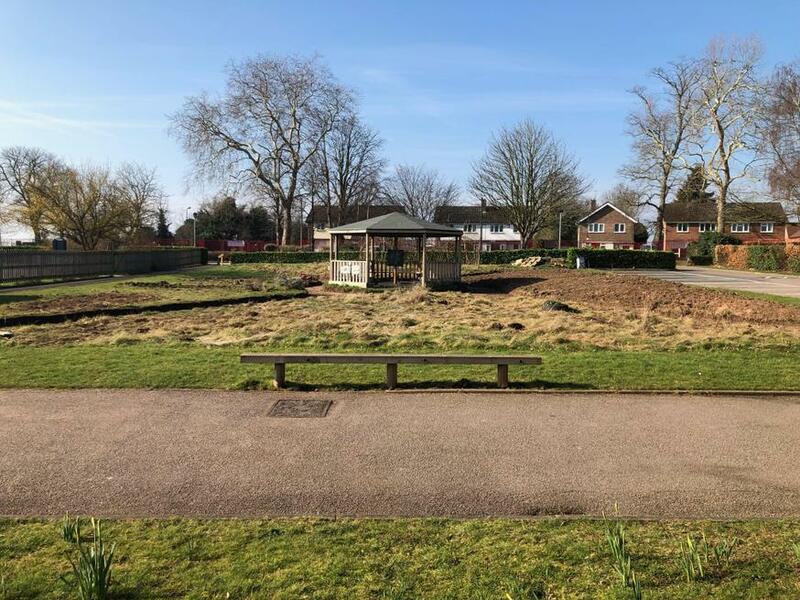 A key part of our project is our ever-evolving partnership with Rubbish Friends, a group of like-minded people, passionate about keeping Stratford-upon-Avon clear of rubbish for both the residents and wildlife. By helping with their storage and operation, school will directly benefit from their contribution towards enriching our curriculum and educating all children from Reception to Year Six. 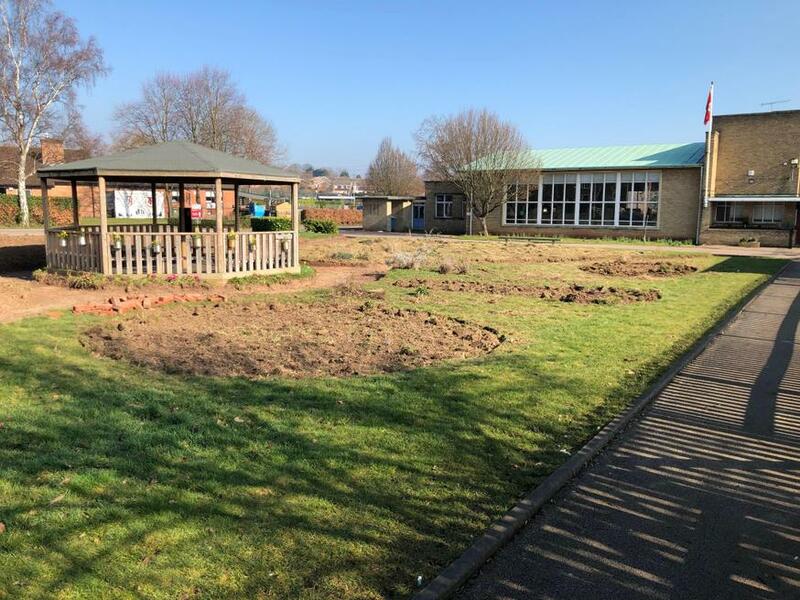 We are looking forward to using and sharing our wonderful new space with everyone as we continue our improvements to the school site. 94% of parents who responded to our environmental survey have said that their children would benefit from such a project and despite 89% of parents saying they cared about their environment ‘a lot’, only 15% described it as ‘very clean’. 40% thought it was less than satisfactory. One in three parents knew of someone close-by who needed assistance with weeding, sweeping or other garden-based tasks. However, perhaps the greatest evidence of need is in the benefits to the children. 93% felt this would create a sense of community spirit and more than 8 out of 10 respondents thought it would help with physical exercise and teach children to help others less fortunate than themselves. Two thirds of parents acknowledged the benefits to well-being that this project would provide. Research shows that 69% of people experience a significant increase in well-being by being associated with such schemes. This can clearly only enhance our nurture provision at Thomas Jolyffe. If you have any questions or would like to ask about quantities or items to donate, you can do so here and we will contact you as soon as possible to help.